Wildfire Games, an international group of volunteer game developers, proudly announces the release of “0 A.D. Alpha 8 Haxāmaniš” (Alternate spelling: “Hakhamanish”), the eighth alpha version of 0 A.D., a free, open-source game of ancient warfare. This alpha debuts the mighty Persian Empire, includes support for both saving games and reconnecting to multiplayer games, a bartering system, improved AI and more. Download and installation instructions are available for Windows, Linux and Mac OS X. 0 A.D. is free of charge and always will be. You can redistribute it and modify it as long as you abide by the GPL. You can even use parts of the art and sound for your own projects as long as you abide by CC-BY-SA. No “freemium” model, no in-game advertising, no catch. Bartering system: Buy and sell resources in exchange for other resources. Resources are traded at exchange rates that vary with each deal. For example, to purchase 100 Food, the player may have to spend 100 points of another resource type (Wood, Stone, or Ore). By the next deal, however, Food will become 1% more expensive. Over time, the exchange rate automatically gradually resets to the default rate. Saved game support: Single-player games can be saved and reloaded. Multiplayer reconnection support: If you are disconnected when playing (by an unreliable internet connection, or perhaps by the game crashing), you no longer have to abandon the match – you can simply connect to the server again, and it will launch you back into the match in a few seconds. 45° Field of View (FOV): The FOV was changed from 20 degrees to 45 degrees. This means the view of the camera was changed from a nearly isometric angle to provide a deeper, more immersive look, which is standard in other 3D video games. You can see the difference easily by toggling back and forth between these two screenshots: 20°, 45°. AI improvements: The default AI engine is now qBot, kindly contributed by WFG programmer Jonathan Waller, also known as quantumstate. qBot is still having trouble learning how to fend off attacks, but it runs a tight ship economically, and it can be very sneaky militarily. In fact, qBot has been observed rushing a human opponent just a few minutes into the game. A brand-new building set. Monumental and eclectic, it reflects the cosmopolitan nature of the Achaemenid Empire. New units, from chariots and hoplites to rams and biremes, from Xerxes to Cyrus to skirmishers and archers. All works CC BY SA Wildfire Games. Music and Sound:Several new tracks, all composed and directed by Omri Lahav. They feature live percussion, as well as a flute segment by a professional musician (Thanks, Marta Mc’cave!). Sands of Time: A mesmerizing and very orchestral Persian peace track. Eastern Dreams: Persia’s early peace track. A dreamy yet minimal, traditional-sounding arrangement, without orchestral strings. The Road Ahead: A long, neutral (not faction-specific) peace track, it has several changing moods and orchestrations to keep it interesting, while still staying in the realm of “background music”. Improved selection boxes: Selecting units is now more functional and intuitive. Slowly but surely, we are making 0 A.D. more compatible with the Mac, with the Atlas Scenario Editor now running on OS X. For developers, a new performance profiler has been implemented, which allows anyone to see which parts of the game take up the most of the CPU’s and GPU’s time. The reports can be seen in a web browser. This helps developers figure out how to reduce lag. Some progress has been made on improving performance, especially in the fields of pathfinding and AI. A marker line now helpfully connects the building and its rally point once you select the building, to make far rally points easier to discern. Also, a button in the building GUI changes the view to focus on the Rally Point, which can be useful if you’ve set a rally point far away and don’t want to have to scroll to it. Rally points can now can be set on resources, so that citizens will automatically gather that type of resource when they are created. Random map fixes: Fixed crash while generating maps and out-of-sync error in multiplayer games. We are seeking contributors in programming, art, sound, web design, taking YouTube videos and more. These roles on the 0 A.D. development team are great if you want to brush up on your skills and update your portfolio, if you’re seeking a project for school with real-life applications, or if you care about the cause of free culture and software and are willing to work pro bono with a group of dedicated volunteers from all over the world. Interested? Please register on our forums and start a new topic introducing yourself in the applications and contributions forum following these instructions. Many of the features mentioned above were made possible through our previous fundraising effort from 2010-11. The sum we raised last time was directed to pay for a month of full-time development of the 0 A.D. codebase by esteemed contributor Philip Taylor, also known as Ykkrosh. As you can see, that month has paid off tremendously for the project. We’d like to allow Philip to work full-time for yet another month, so we can keep delivering awesome new features and making progress towards a finished open source game of ancient warfare. So let’s celebrate openness and antiquity together. Support 0 A.D. Thanks in advance. The Persians originated from the Pars province in the southern part of modern-day Iran. They speak Persian, which belongs to the Indo-European language family, a large family of languages including Greek, Latin, and Sanskrit. The Persian Empire, when ruled by the Achaemenid dynasty (ca. 550 BC–336 BC), was one of the greatest empires of antiquity, stretching at its zenith from the Indus Valley in the east, to Thrace and Macedon on the northeastern border of Greece. Since most existing accounts of this vast empire are in works of Greek philosophers and historians, and since much of the original Persian documents are lost, it is difficult to portray the Ancient Persians in their own terms and ideas. Nevertheless, the Persians can be credited as the pioneers of empire-building of the Ancient World. Later empires, such as the Hellenistic and Roman empires, adopted many administrative innovations that the Persians had come up with. While taking over various peoples with different customs, laws, religions, languages, etc., the Persians imposed a centralized, bureaucratic administration under the emperor, with large, professional military and civil services. These included a postal system, advanced road systems, standard coinage, weights and measures and the usage of an official language, Aramaic, throughout the empire. The ancient Persian empire collapsed and disintegrated around 330 BC with the Hellenistic conquest, led by Alexander the Great. In later centuries, peoples in its former territories were either ruled by Alexander’s successors, the Ptolemaic Kingdom and Seleucid Empire, or gained independence and were self-ruled. The culture of the central Iranian plateau, however, continued to thrive and eventually reclaimed power by the 2nd century BC. The Persian empire would also set the tone for the politics, heritage and history of modern Persia (now called Iran). We name our releases according to development status (“Alpha” or “Beta”), successive release number (1, 2, 3, …) and a word relating to the ancient world, in alphabetical order (“Argonaut” for A, “Bellerophon” for B, …). In honor of the release of the Persian faction, we decided to dub Alpha 8 “Haxāmaniš”. Haxāmaniš (Alternate spelling: “Hakhamanish”) is the original Old Persian name for the legendary founder of the Achaemenid dynasty, who the Greeks and Romans called “Achaemenes”. His dynasty included renowned rulers such as Cyrus II, Darius I and Xerxes I. Haxāmaniš himself, however, was a minor ruler of the Anshan (Ansham or Anšān) in southwestern Iran in the seventh century B.C. Nobody is quite sure if Haxāmaniš in fact existed, little is known about him and the little known is peppered with myth. (Ancient Greek texts say that he was “raised by an eagle”.) Nevertheless, he remains a figure often mentioned in Persian history. For the next alpha, we welcome fan suggestions for words relating to the ancient world beginning with the letter I. Keep it original and within the 0 A.D. time-frame (appx. 500 BC – 1 BC)! 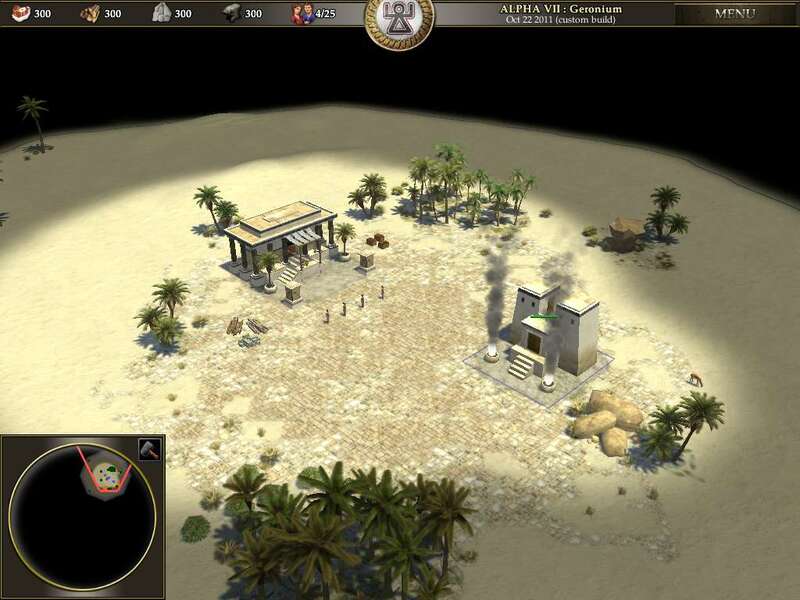 Wildfire Games will keep releasing new versions of 0 A.D. from time to time. Watch our news feed to get updates, or follow us by e-mail, RSS, Facebook or Twitter. 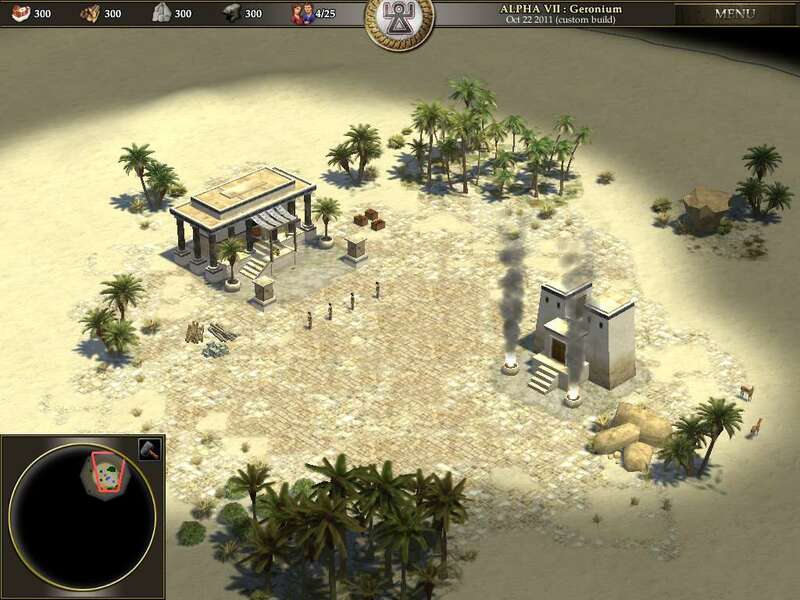 And you’re always welcome to join the 0 A.D. community on our forums. Contact info for press, bloggers, etc. : aviv@wildfirePERSEPOLISgames.com without the name of the ancient Persian city written in all caps.